Embossed Letter / 3D Letter as a branding company media will look more elegant than using other media such as Signboard or Neon Box. Embosse Letter is one of promotional advertisement media that is usually placed on the building walls so it looks more elegant and also seem simple and interesting. Each emboss letter is formed 3d one by one in the field of letters. 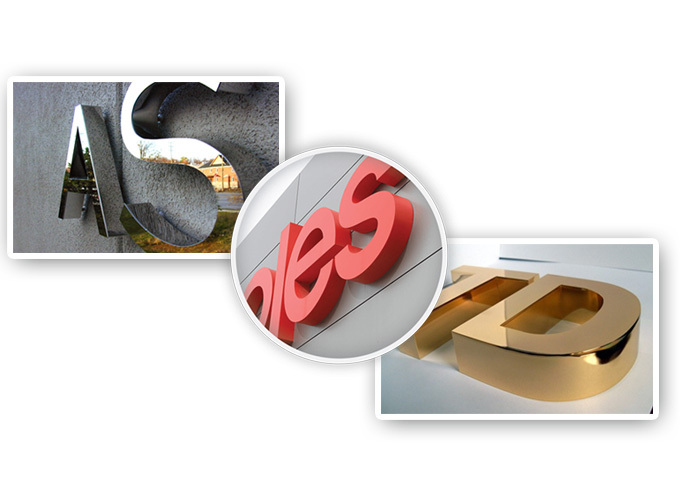 With embossed letters will be more visible value of beauty, aesthetics more eye caching for your customers. Embossed letter can be made with galvanil, steinless, acrylic and brass material.